Gates founded a company—Microsoft—that developed and controlled the most important operating systems of the emerging personal computer (PC). With MS DOS (Microsoft Disk-Operating System) and, later, Windows, Microsoft held the software keys to the personal computer. This made Gates one of the wealthiest men in the world (at times, the wealthiest) and simultaneously one of the world’s most admired, envied, and sometimes hated business titans. 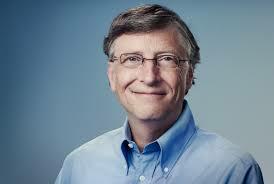 In 2000, Gates and his wife, Melinda, established the Bill and Melinda Gates Foundation, which rapidly became the richest philanthropic organization in the world—and attracted in 2006 the largest single philanthropic gift ever made, $30.7 billion in stock from Warren Buffet, which more than doubled the foundation’s already spectacular $29 billion endowment.